Robert White is an Amazon best selling crime fiction author. His novels regularly appear in the top ten downloads in the Crime and Action and Adventure genres. 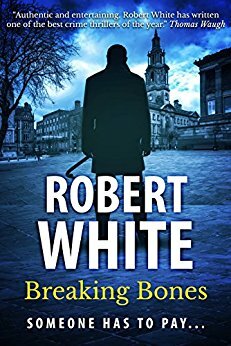 Robert is an ex cop, who captures the brutality of northern British streets in his work. He combines believable characters, slick plots and vivid dialogue to immerse the reader in his fast paced story-lines. He was born in Leeds, England, the illegitimate son of a jazz musician and a factory girl. He hated school, leaving at age sixteen. After joining Lancashire Constabulary in 1980, he served for fifteen years, his specialism being Tactical Firearms. Robert then spent four years in the Middle East before returning to the UK in 2000. He now lives in Lancashire with his wife Nicola, and his two terrible terriers Flash and Tia. The streets of Preston are alive with music and banter. But nothing can drown out the sound of breaking bones. Inseparable since childhood and feared by their community, Tony, Eddie and Frankie are beyond the reach of justice. The brutal gang, The Three Dogs, are a law unto themselves. Detective Jim Hacker has watched The Dogs grow from thuggish youths to psychotic criminals. He seems to be the only one who wants to see their empire fall. Meanwhile Jamie Strange, a young Royal Marine, finds himself embroiled in the lives of The Three Dogs when his girlfriend, Laurie Holland, cuts off their engagement… to be with the most dangerous of The Dogs: Frankie Verdi. Jamie vows to save Laurie, before Frankie damns them both. Every dog will have its day. This gritty, addictive crime story, fizzes with the energy of the eighties. Set in the 1980’s in Preston, the reader is faced with abuse, violence as a way of life, friendship, fear, drugs, murder, consequences, dilemma’s, manipulation, greed and a desire for control. We also have one determined copper piecing eveything together in the hopes that justice will be served. 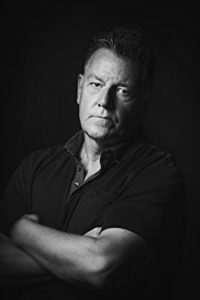 The story is told mainly from two points of view – the third person but also in first person when Detective Jim Hacker has his say. The prologue gives the reader the context/backstory and sets the reader up nicely for what they can expect. I didn’t find the plot to be particularly fast-paced, but this worked to deliver the well developed threads and complexity of the storyline. Character-wise, I struggled a wee bit to connect with a majority of the characters, but also found some of them to be fascinating and this made me want to follow their character arc to the end. For me, characters are what drive a story. I LOVE them! You can have the best plot ever but without the right characters, it can fall flat. There were interesting characters in this novel, but I’ll only focus on a few that really stood out for me, beginning with The Three Dogs themselves: Tony, Eddie and Frankie. These guys had a strong bond formed in their youth through violence and an understanding of each other. The leader, Frankie is completely psychotic and great at manipulating Tony and Eddie into doing things to further their “power” within Preston. Out of the three, Tony was the one I felt the most hope for – he had some redeeming qualities – but were they strong enough? You’ll have to read the book to find out! Detective Jim Hacker is hard-working and determined to breaking The Three Dogs buuuut, I just did not connect with him at all! 🙊🙈 I admired his stamina in wanting to deliver justice, but he came across as a little dry for me. Jamie Strange did however strike a chord and I really felt for him. His loyalty and genuinely nice character leads to trouble at various times in his life and he is forced to make decisions to protect others. I also really liked Laurie, Jamie’s ex fiance who ends her relationship with Jamie to be with the notorious Frankie. I really did not want to like her at all, but the author created her in such a way that you really end up rooting for her. She has a depth and a sadness that strikes the emotive chords like a harp! Would I recommend this book? Absolutely! It is a really good, gritty story following the lives of people who are ruled by violence and manipulation. I enjoyed the gangland feel mixed with police procedural and will definitely be checking out more books by this author! Grab a copy via the link below or make your way over to the amazon site of your choice and treat yourself! This entry was posted in Blog Tours, Book Reviews and tagged #BlogTour, #Crime #Twists #Murder, #CrimeFiction, #Gritty, #PoliceProcedural, #Suspense by crimebookjunkie. Bookmark the permalink.